The Friday before the election I settled in front of the TV to watch my favorite program (and my favorite escape from election coverage), House Hunters International. Except the channel had gone dark. 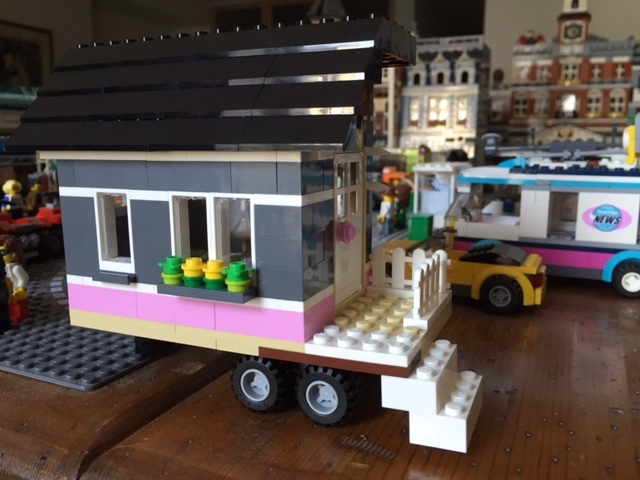 Inspired by HGTV’s Tiny House Hunters, I made my own Lego Tiny House. For a day I procrastinated on calling my cable provider, Time Warner, hoping it was a temporary outage — a common occurrence when I lived in Albany. But when House Hunters International disappeared for a second night and would not load on my computer either, I picked up the phone. The person working there didn’t know of a problem but would “check on it.” When I never heard back after a day and a half (and still no HHI), I called again. This time, the representative told me that Time Warner had merged with Charter Communications and rebranded in New York City as Spectrum. As part of that merger, HGTV, which broadcasts HHI and other faves of mine Tiny House Hunters and Flip or Flop, has been moved to a premium tier costing an extra $30 a month — on top of a $5 increase for the basic channel. I mentioned the lack of notification to the representative in attempt to negotiate a restoration of service or a better price. No luck. No luck on negotiating a better rate, so my disconnected cable modem goes back to Time Warner/Spectrum. I’d heard that if you ask to talk to a representative in the Cancellation Department, they will negotiate in an effort to keep your business. So I called back. The cancellation representative offered me their “best” package, which was an increase of $100 over what I’m currently paying. Yes, it included HBO, but I don’t watch HBO. I watch exactly one channel, HGTV. And as much as I like House Hunters International (as described in this post), I wasn’t willing to pay $35 – $100 per month for the privilege. So I cancelled my cable service and asked where I could drop off my equipment. My savings from cancelling the cable and keeping only my internet service is $30 per month. I have decided to spend the time I used to watch TV to reading more books, and to apply the savings to purchases of books by authors of color. 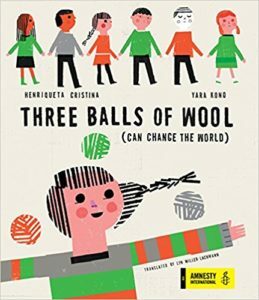 I will post pictures and titles of the books I buy and if I think they’re relevant to the mission of the blog, I will review them either here or on The Pirate Tree, which recommends children’s books on social justice issues. 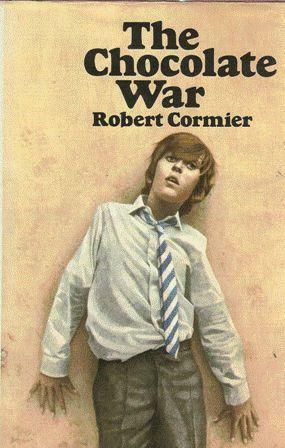 An older edition of The Chocolate War. Good call! 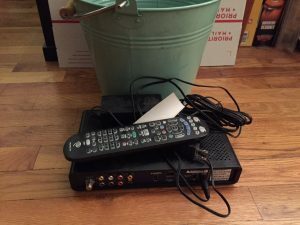 We were early adopting cord-cutters and have been without a cable or satellite subscription now for 5+ years, as I recall. We have a Netflix subscription and have used Hulu in the past when it was a free trial. Except during the Olympics, when none of the suggested workarounds worked, we’ve not felt the lack. My husband are not really into sports of any kind, so we don’t miss those broadcasts, which are the hardest to duplicate with other services. I usually follow games via online liveblogging or go to a bar. There are six sports bars on my block alone. Great idea, Lyn! I did the same thing and saved well over $100 per month! I also have a Netflix subscription, and plenty of books!